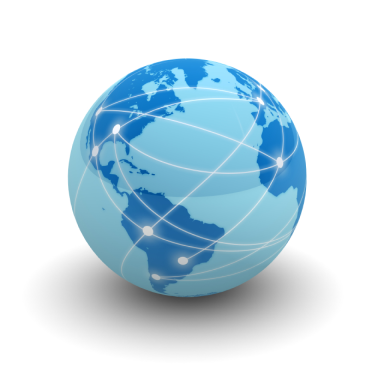 Broadband-Testing in an independent testing operation, based in Europe. Broadband-Testing interacts directly with the vendor, media, analyst, consultancy and investment communities equally and is therefore in a unique space within IT. Testing covers all aspects of a product/service from business rationalisation in the first instance to every element – from speed of deployment and ease of use/management, through to performance and accuracy. Testing itself takes many forms, from providing due diligence for potential investors through to public domain test reports. Broadband-Testing is completely vendor neutral and independent. If a product does what it says on the tin, then we say so. If it doesn’t we don’t tell the world it does what it cannot do… The testing is wholly complimentary to analyst-related reports; think of it as analysts getting their hands dirty by actually testing what’s on the latest hype curve to make sure it delivers on its claims and potential. Steve Broadhead entered the world of IT in 1984, when – in the UK at least – it was not IT but DP (Data Processing) and mainframes ruled that world. He quickly became immersed in the PC and LAN/WAN era, switching to the world of IT journalism in 1988, and was foremost in introducing the first batch of networking and comms titles to the UK publishing market. Focusing on product testing, in 1991 he set up a partnership with long-time friend Bob Walder, which became The NSS Group, forerunner to NSS Labs in the US, working directly with vendors to substantiate – or otherwise – their product/technology claims. In 2003, Steve created Broadband-Testing to focus on network infrastructure testing, embracing the – then – new technologies of carrier Ethernet, wireless and all related technologies. Over the past few years, Steve has tested in many technology areas, including network optimisation and management, security, storage/DC optimisation, cloud optimisation and management, cloud-based Wi-Fi, network analytics and more. Clients include every variation from global giants such as Cisco and HPE, to early stage start-ups, primarily in the US and UK/EMEA markets. In addition to providing 3rd party validation on vendor claims, Steve assists with vendor clients in developing markets, product strategies and finding partners, including investors and exit partners. Over the decades, many of his clients have used Steve’s testing, reports and connections to aid with securing acquisition, in several cases multi-billion dollar deals. He speaks regularly with a number of VCs, Private Equity companies and vendors at M&A/business development level and has been engaged many times to provide technical due diligence on potential investments. Steve also has a blog on Computer Weekly/Techtarget and contributes to Angel Business Communications titles. 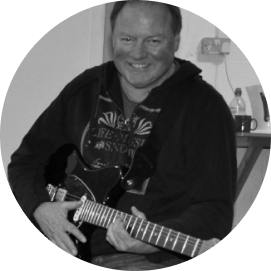 Outside of IT, Steve has been a semi-professional guitarist and songwriter since his early teens and is currently working with a number of artists, primarily in the South-West of England. He is also a lifelong supporter of the – once mighty – Leeds United (for US visitors, that is a football, as in “soccer”, team in the North of England). He has also written two IT books and co-written a rosé wine guide. He currently co-writes comedy with a former stand-up comedian mate, and is looking at further two book-writing options. An in-depth look at Densify's solution for automated cloud optimisation - the first such product we have seen - and it works! Please use the form below. Note that we will not use any of the details for any purpose other than to respond to your query, and we never disclose details to third parties. Information about you and your company. Note that we will never disclose details to third parties.